Drypoint is a non-acid intaglio method of printmaking created by scratching and scraping directly into a printmaking plate. 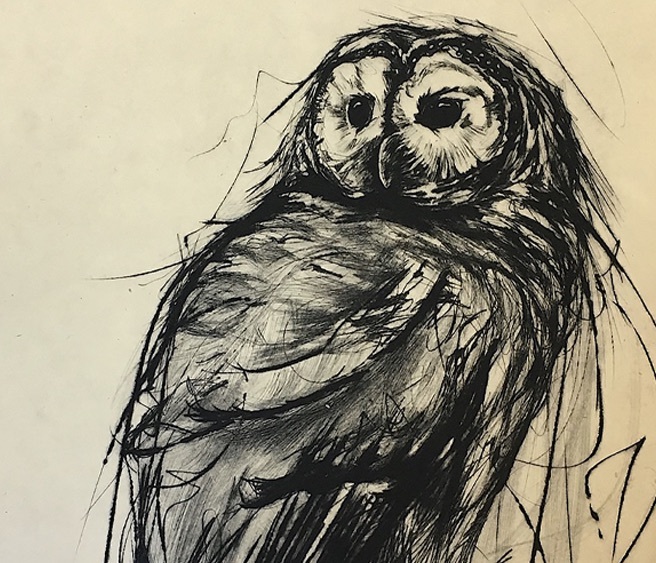 This style of printmaking is focused on direct mark-making and lends itself to fine-line illustrative work as well as expressive and fluid drawing. Over the course of this workshop, participants will create drypoint prints from copper and plexiglass plates, experiencing the rich velvety lines created with this method. We will also add tones and color with chine collé and monoprinting layers. Use of the press, preparation of plates and papers, and how to work/play in the printmaking medium will be covered. Each participant will leave with several finished pieces. • Etching needles, sandpaper, drypoint tools, scrapers, scratchbook board tools, etc.